On the go breakfasts are always nice for busy moms. These 15 Tasty Muffin Recipes are great for on the go snacks, breakfasts and meal replacements. 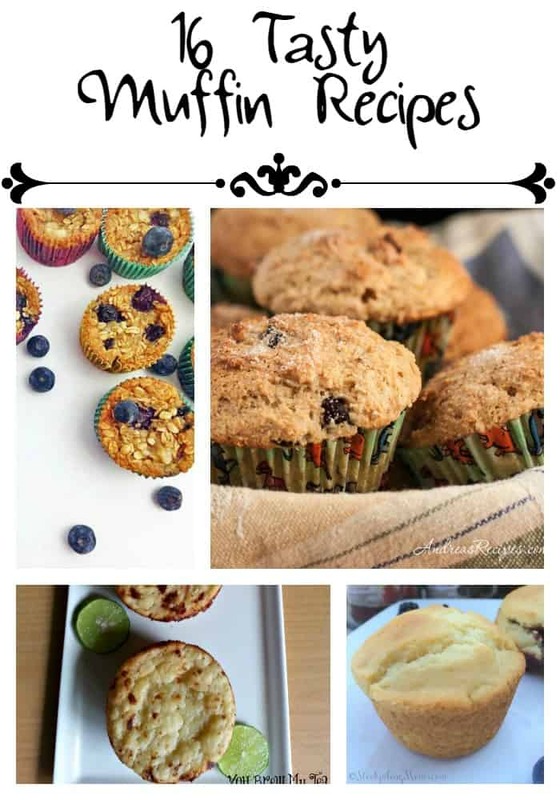 Using classic recipes, new twists on flavors and even a few savory muffins thrown in, you can create a great month of tasty muffins recipe each morning that is sure to satisfy everyone in your home. Take advantage of these recipes and great seasonal items to make tasty breakfasts for your whole family. Let your whole family enjoy the tasty muffin recipes you choose to make. These can be prepared in large batches and frozen for easy meals on the go later on too. Everyone loves the on the go ease of muffins, why not make one of these tasty recipes today? These all sound so good! Thanks for linking up at Talented Tuesday this week!